In the history of moving pictures there’s never been an award season quite like this one. Its annual role in reflecting the genuine merit of cinema has been mostly reduced to an aggressive marketing contest. Crashing into this has come the long overdue arrival of the #TimesUp movement. As it happens, the catalyst for both is one man, Harvey Weinstein. As a dominant studio boss, he radically changed the tone of the awards circuit. His eventual exposure as a sexual predator and spectacular fall from grace lit the fire under the women’s movement that continues to call out men of his ilk throughout Hollywood and beyond, and has given a welcome and urgent voice to victims of sexual abuse. 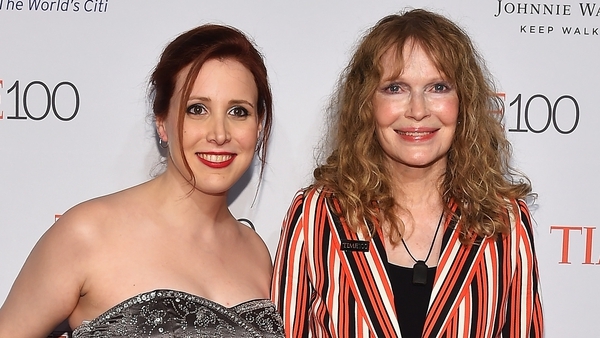 Last week, the two came together in a perfect storm, when Dylan Farrow, the thirty-two-year-old adopted daughter of Woody Allen and his former partner Mia Farrow, gave an interview to CBS (following an op-ed piece in The LA Times) accusing Allen of having molested her when she was seven. She wondered why he had been spared the judgement of the #TimesUp movement and renewed calls for those who have worked with Allen to publicly distance themselves from him. A few already had, among them Mira Sorvino, Natalie Portman, and Rebecca Hall, and a couple of this year’s major awards contenders, Greta Gerwig and Timothee Chalamet. In Chalamet’s case, he declared he would be donating the salary he received for acting in Allen’s upcoming picture, A Rainy Day In New York, entirely to charity. We’ll get back to Chalamet in a moment, but you wouldn’t be alone in feeling a sense of deja vu while reading some of the above. 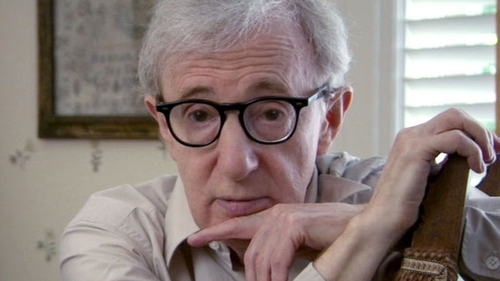 Back in 1992, Woody Allen began a relationship with Soon Yi Previn, then the twenty-one year old adopted daughter of Allen’s then partner Mia Farrow and conductor André Previn. In the bitter custody fight that followed, the molestation accusation of Dylan first arose. A media frenzy ensued, and a wave of official investigations were launched. They included a six-month investigation by the Child Sexual Abuse Clinic of the Yale-New Haven Hospital, which interviewed Dylan nine times and concluded that she had been coached into making her statements, and a subsequent fourteen-month investigation by the New York state child welfare services, which concluded that 'No credible evidence was found that the child named in this report has been abused or maltreated.' Add to that the testimony of a former nanny, who said in a sworn affidavit that she had been pressured by Mia Farrow into supporting the accusation. Then there’s Moses Farrow, son of Mia and older brother of Dylan, who has spoken to author Eric Lax about his own claims of coaching and abuse at the hands of his mother. At one point during the battle, Allen alleged that lawyers for Mia Farrow suggested the accusation could go away for a $7 million payout. Ultimately, no charges were ever brought against Woody Allen. Judging by some of the online discussions that followed, many were only now discovering the context of the historical accusation - that it was made in the middle of a contentious break-up - and also the verdicts of the official investigations twenty five years ago. Confirmation from some A-list agents, managers and publicists that @RealDylanFarrow and @RonanFarrow have been personally "hounding" their clients, pressuring them to denounce #WoodyAllen. Doesn’t smack of McCarthyism at all. No McCarthyism here. Twenty-two year old up-and-coming actor, Timothée Chalamet is on the awards trail for his performance in Call Me By Your Name and Greta Gerwig’s Lady Bird, and also features in Allen’s A Rainy Day In New York (currently in post production) alongside Selena Gomez - who herself has refused to speak out against Allen. Chalamet has been accused online of cynically hedging his bets and trying to please both sides by distancing himself from the film while also claiming to be contractually obliged to not speak out against its director. The Huffington Post, upon reviewing a copy of his contract, discovered that no such clause exists. With that film not due for a release for the best part of a year, the ever prolific film maker’s latest film, Wonder Wheel, starring Kate Winslet, will arrive on screens in Ireland in March. Undoubtedly the debate will continue beyond then. Some say that Allen’s recent work is not in the league of his earlier films, but much like the case detailed above, each should perhaps be judged upon its own merits.